BWM Dentsu Sydney has also had a creative shake-up, welcoming new creative team Oskar Westerdal and Jerome Gaslain to the team. 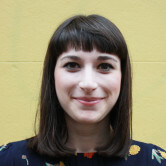 Westerdal is a copywriter with experience at Droga5 and Mojo. Gaslain is an art director who previously held roles at M&C Saatchi, TBWA and Lavender. The Works, Ogilvy Melbourne and BWM Dentsu have all made major hires to their creative teams. 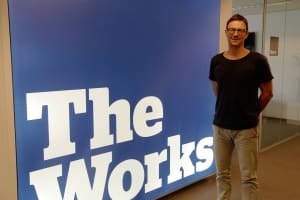 The Works has appointed Phil Watson as a creative partner off the back of its recent appointment to the new Optus roster. Watson joins from three years at 303 MullenLowe where he was creative director of digital, direct and brand activation. He has more than 20 years of experience including roles at Momentum Worldwide, Publicis Mojo, iLeo and Lavender. In addition, Ogilvy Melbourne has promoted a number of senior staff. Ogilvy's general manager client service Michael McEwan and head of strategy Gavin MacMillan will both be managing the agency as managing partners, while retaining their current roles. Both McEwan and MacMillan will work closely with executive creative director David Ponce De Leon who will also take on greater management responsibilities and drive creative collaboration across the business. As a result of the promotions, current Group MD Jo Rozario will step back from the day-to-day running of the business and take on the role of chairperson. Her new role will include broad business oversight, mentorship and new business generation. Ogilvy Australia CEO David Fox says: “Michael and Gavin know the Ogilvy business, and Melbourne market inside out. Teamed with David’s creative prowess, they will make a formidable team. All Ogilvy appointments will be effective as of 1 May.